Prunes are known for their contribution to healthy bowel habits. This benefit was outlined by a 2011 article in "Alimentary Pharmacology and Therapeutics," in which the authors concluded that prunes were more effective than psyllium fiber at relieving constipation. The dried plums are also a good source of vitamins essential to your health. A 100-gram serving of prunes, which is almost a one-half-cup, contains nearly 60 micrograms of vitamin K. That provides 74 percent of the daily vitamin K requirement for a 2,000-calorie diet. This nutrient is important for normal blood clotting and cellular activity, and optimal bone density, according to the Linus Pauling Micronutrient Information Center. The same amount of prunes provides at least 9 percent of your daily needs for the B vitamins, niacin, riboflavin and vitamin B-6. B vitamins are necessary for your body to turn the food you eat into a source of energy, states Medline Plus. 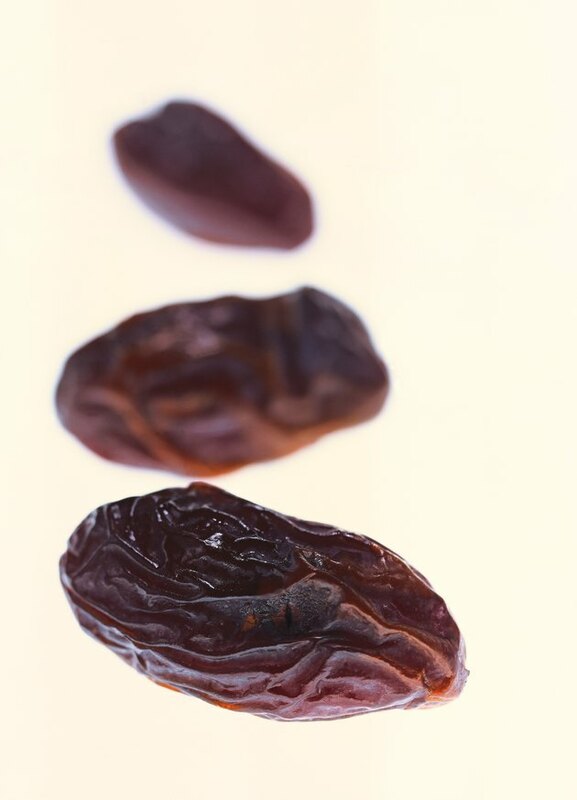 Prunes contain less than 4 percent of your daily needs for folate, vitamin A and vitamin C.